News & Education / What Is Crowdfunding? Crowdfunding has become a loaded term, meaning so much more than just raising money from the public. In fact, it means different things to different people. New and old terms are sometimes being used to describe the same or similar activities. Here, I’ll break it down in hopes of bringing greater clarity to a question that still gets asked every day: what is crowdfunding? Generally speaking, when nonprofits refer to online fundraising they are talking about applying traditional direct mail and telephone solicitation techniques to email and social media. They do this with wide-ranging sophistication and outcomes. Typically, this approach remains centralized and is a one-to-many type campaign. The same is largely true of social media fundraising. Peer-to-peer fundraising is crowdfunding led by donors themselves. One of the early and most effective users of this approach has been Habitat for Humanity, which encourages those who wish to travel to the developing world to participate in a “build” but who can’t afford to simply plunk down a check for $3,000 or more, to raise the money via crowdfunding from their friends and family. Nonprofits use sites like Classy, Razoo, Fundly, Crowdrise (now owned by GoFundMe) and FundRazr, that feature powerful peer-to-peer fundraising tools. Individuals use “personal crowdfunding” on sites like GoFundMe and YouCaring—recently acquired by GoFundMe—to raise money to solve personal problems, either for themselves or for friends and family members. This approach is often used effectively to deal with personal tragedy, whether a house burned down, a child has cancer or a parent has some other economic crisis. People often respond generously to such campaigns, seeming to prefer to give money directly to someone in need than to donate to an organization that would provide support to the same family. Creatives of all types have been using Kickstarter, which has eschewed the word crowdfunding to describe what happens on the site, for more than a decade. 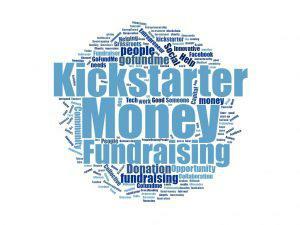 Many people, myself included, discovered crowdfunding when Kickstarter began gaining traction. Kickstarter is used by entrepreneurs and inventors to raise millions of dollars to fund development and production of devices like the Pebble Watch and the Coolest Cooler. Smaller campaigns are more the norm on the site. In a campaign that oozed with irony, Zach Danger Brown notoriously raised $55,492 to make potato salad. Filmmakers and bands have used the site to fund production costs for their work, too. Indiegogo, which does describe itself as a crowdfunding site, is popular for many of the same uses as Kickstarter. The former allows a broader range of campaigns on the site and critically doesn’t require the use of an all or nothing campaign. The all or nothing approach required by Kickstarter means that campaigns that don’t reach their goal don’t fund at all—backers aren’t charged for their pledges and the fundraiser gets nothing. Equity crowdfunding is yet another form of fundraising to share the crowdfunding label. Here, the term crowdfunding is written into the title of the governing rules from the Securities and Exchange Commission. Regulation Crowdfunding establishes the code for both issuers and the intermediaries (platforms and broker-dealers). FINRA, the entity authorized by the SEC to regulate crowdfunding, lists the platforms engaged in the business on its website here. The first word you think of when you hear the word crowdfunding. Despite the label, which implies the sale of stock and other forms of equity investments, equity crowdfunding platforms can distribute a variety of securities, including debt and equity-like instruments called “SAFEs” or Simple Agreements for Future Equity. SAFEs are popular among issuers, but some legal experts question their value to investors. Overlapping with equity crowdfunding is the use of initial coin offerings or ICOs for cryptocurrencies. While the name ICO evokes a parallel to IPO or initial public offering, the process more closely resembles equity crowdfunding than a traditional IPO. The SEC has been working to establish rules defining when the sale of a coin or token should be regulated as the issuance of a security and when it may be exempt from such rules. The industry lacks clarity but increasingly, issuers are seeking to comply with securities laws when issuing new coins. Initial coin offerings, ICOs, go by a variety of names, some aimed specifically at avoiding SEC regulation. The terms including initial token offering, token generating event, token sales and similar phrases. Like SAFEs, some companies planning to sell tokens or coins in the future, use simple agreements for future tokens or SAFTs to raise money. The crypto community and equity crowdfunding communities overlapped and functioned in parallel for years, but increasingly the two communities are merging. It seems possible that start-up financing could migrate to a model where virtually all such transactions are transacted using the blockchain technology that underlies cryptocurrencies. We’ll see. As you can see, the word crowdfunding has many meanings—perhaps too many. To describe raising money for your neighbor’s child suffering from cancer with the same term another might use to describe selling tokens for a startup using cryptocurrency is probably more confusing than helpful. It will be interesting to see how language evolves in the coming years. This article was written by Devin Thorpe from Forbes and was legally licensed through the NewsCred publisher network. Please direct all licensing questions to legal@newscred.com.